Logitech International S.A., a Swiss provider of personal computer and mobile peripherals, stated that they had decided against the original attempt of acquiring Plantronics for a reported $2.2 billion. 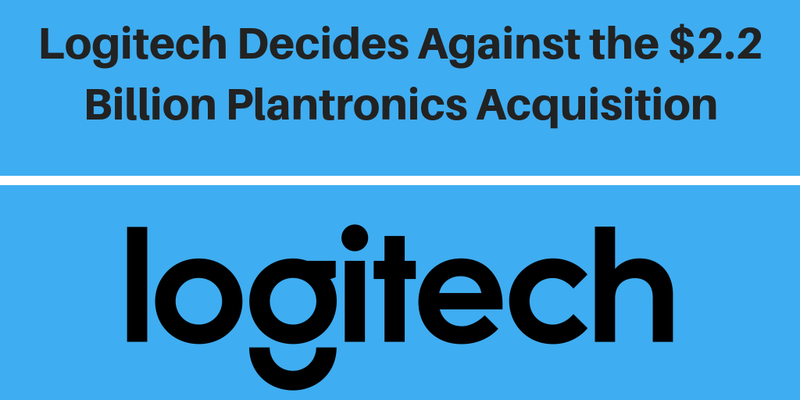 The $2.2 billion Plantronics buyout was the company’s largest acquisition attempt in the company’s history and it’s unclear why the negotiations between Logitech and Plantronics fell through. It’s believed that there are strong synergies for the two companies to unite. Plantronics and Logitech both deliver a wide range of accessories for electronics such as smartphones, computers, game consoles, and other devices. However, it’s uncertain whether either company would revisit the negotiations at a later date. Learn more about Logitech and Plantronics here.